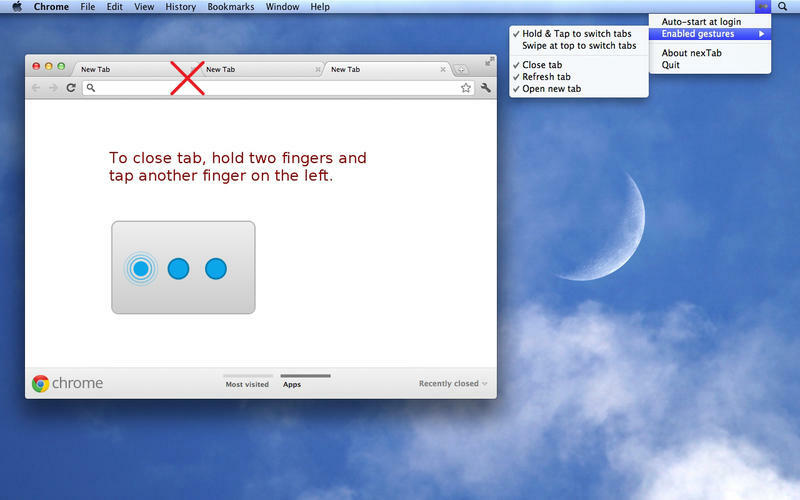 nexTab enables you quickly switch, close or open new tabs with Magic Trackpad or MacBook Pro/Air's multi-touch trackpad.Support most tabbed applications including browsers, text editors, code editors and even IM softwares.To switch tabs, simply hold one finger on trackpad, tap another finger to go previous or next tab.To switch several tabs consecutively, one finger swipe at top border of trackpad. Please enable it in menu before using.To close current tab, hold two fingers on trackpad, tap third finger on the left.To open new tab, hold two fingers on trackpad, tap third finger on the right.To refresh tab, hold two fingers on trackpad, tap third finger between them.Switch to login window, one finger swipe through whole trackpad from right to left quickly.Scroll to top / bottom, two fingers swipe through whole trackpad vertically.You may enable/disable each gesture or quit the application in menu of nexTab menu bar icon.Note: Due to system API limitation, nexTab does NOT support Magic Mouse. 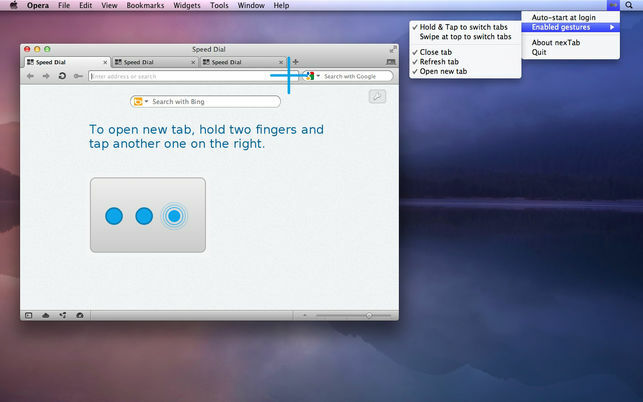 Access the menu bar from any window. 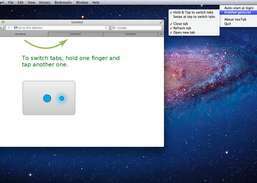 Alter hidden features in OS X. Speed up the Finder with keyboard shortcuts.